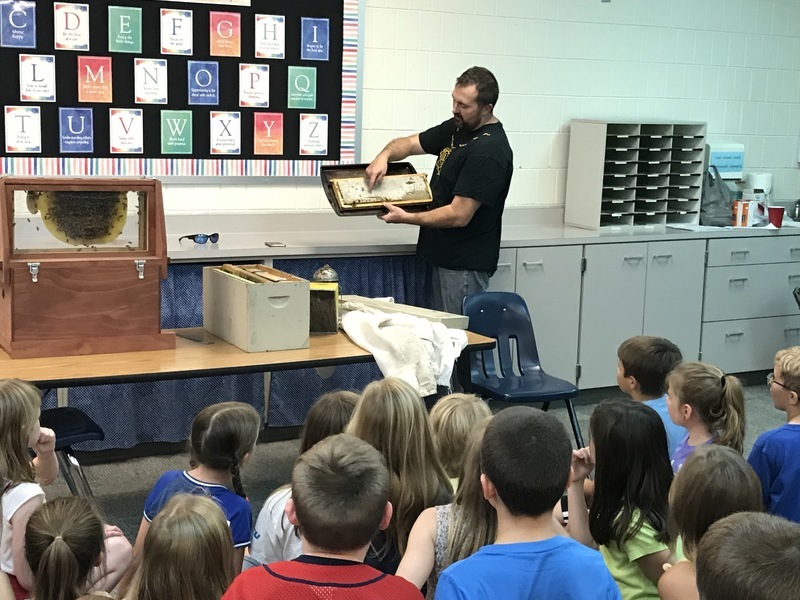 Third Graders at Olympia West were very excited when beekeeper, Mike Lavazza, brought in a honey bee observation hive. 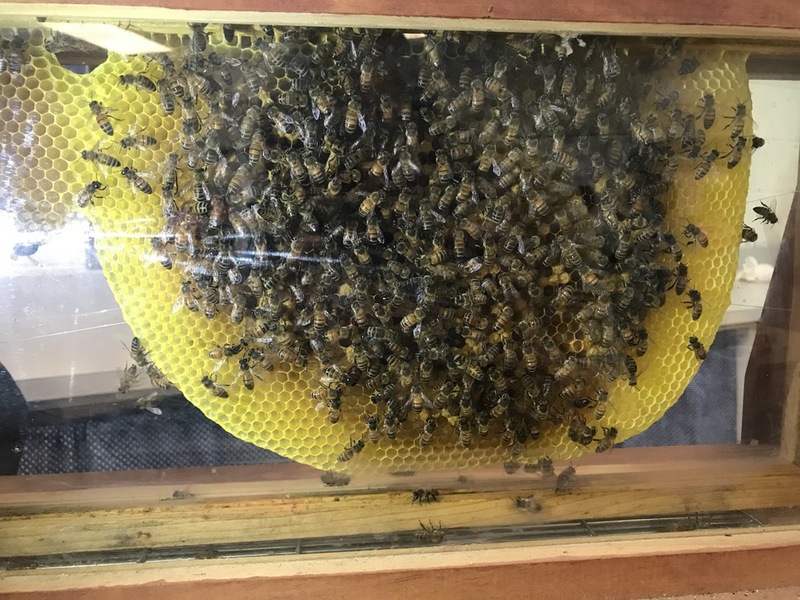 Mr. Lavazza talked about the equipment he uses, what he needs to check for in each hive to make sure it is healthy, how he collects the frames of honey, and shared a variety of other information about bees. 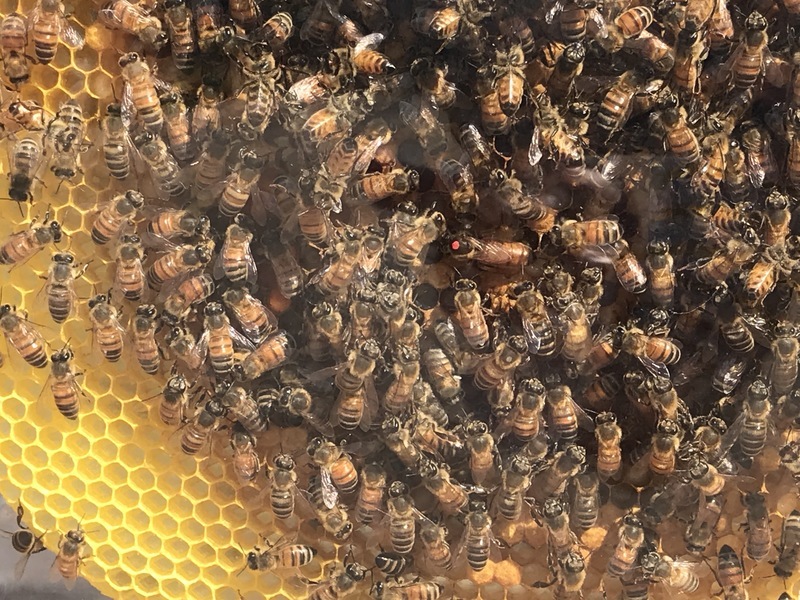 Students enjoyed the close up view of the queen bee (marked with a red dot in the picture) and her circle of attendants, drones, and worker bees. One of the favorite activities of the day was when the students got to taste comb honey, all the students commented on how sweet it was. 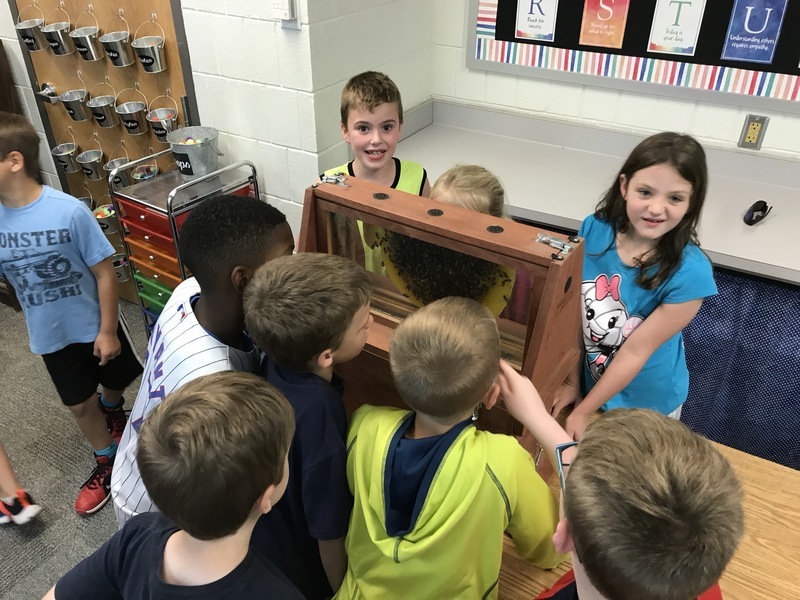 In science third graders learned about the important role bees play in pollination and in reading students read a book about bees and the different roles that bees have in the hive. It was great for students to see in real life some of the information they had learned about. 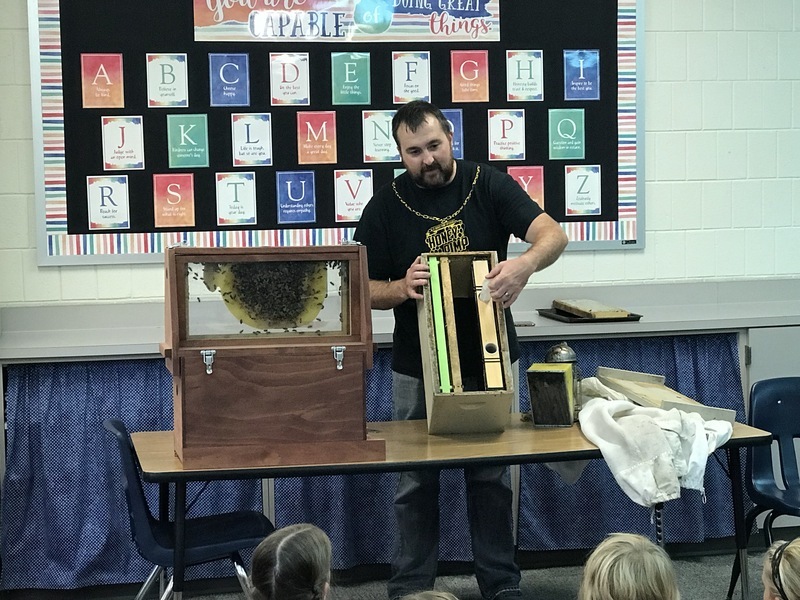 Observing the bees and the knowledge gained from Mr. Lavazza is definitely something that third graders will be buzzing about for awhile!